In this chess tactic training lesson I will focus on how to use the art of distraction on the chessboard. Because distraction is a powerful chess tactic training yourself to see opportunities to distract will significantly improve your game. 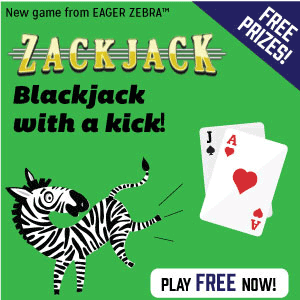 The purpose of distraction is to cause your opponent to move a piece away from a key square. This chess tactic training lesson will show you several ways to do it. As you become aware of the power of distraction, you will begin to notice distraction opportunities as they arise. At least, you will start to look out for them during a game. Very often, the art of distraction is employed against a piece that is guarding a crucial square. The guard may be distracted by the offer of a sacrifice of by the threat of capture. Once the guard has been distracted, the square you wish to occupy will now be unguarded and you can safely move in. What would you do in this situation if you were Black? This is a good example of how to use distraction in the endgame to achieve a decisive advantage. If we analyse the imbalances we can see that White is one pawn ahead and holds a material advantage. However, Black holds a positional advantage with his occupation of the centre. The pawn on g7 is also guarding against White achieving an easy promotion of the h pawns. It is Black’s turn to move and sieze the initiative. I will post the solution in the comments tomorrow! Here is a nice example of a “distraction” tactic that worked for me in a game that I ought to have lost. 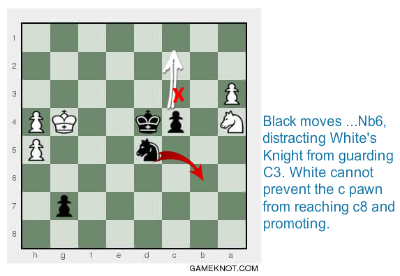 In amateur games involving “B” rated players and lower, this kind of “distraction” tactic can be very useful. Black took the bait and promptly lost the game! 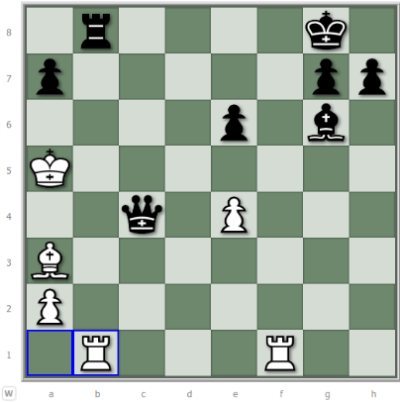 The Jobava London: White’s Best Chess Opening for Beginners? What Are The Best Starting Moves In Chess for White? 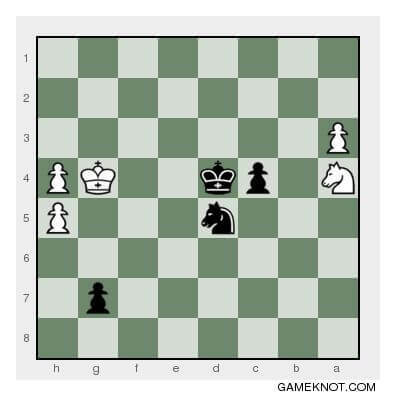 Mark on Chess Endgame Training: White Knight or Poisoned Gift? Adrian on Chess Endgame Training: White Knight or Poisoned Gift? 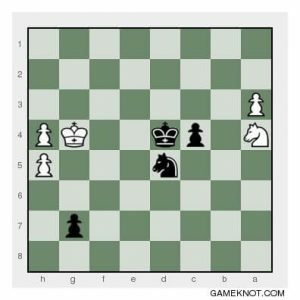 David Hurley on Chess Endgame Training: White Knight or Poisoned Gift?